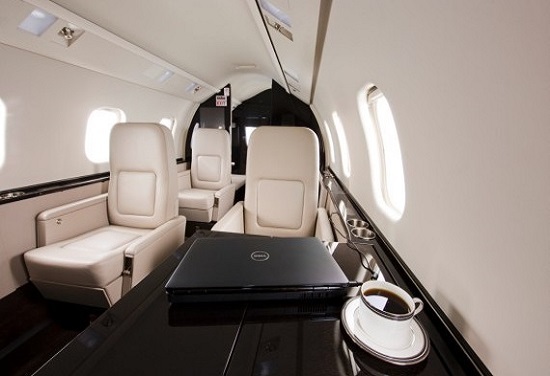 The Learjet 60XR was developed from the Learjet 55, being the first aircraft from this manufacturer to feature a full height cabin and full size lavatory. 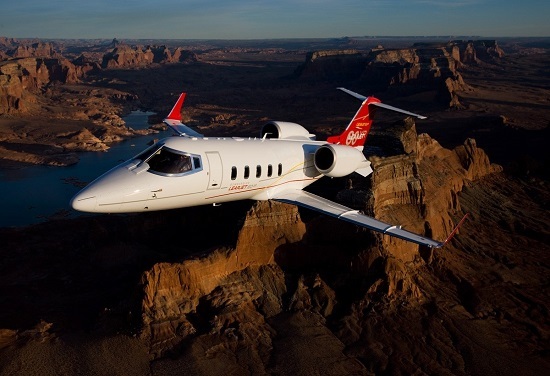 Following FAA production approval in 2006, the 60XR has become the flagship model in the Learjet fleet, superseding earlier 60 and 60SE type aircraft. This model owes its popularity to its impressive performance capabilities: a certified flight ceiling of 51,000ft with a maximum cruise speed of 466kts and a range of over 2,500 miles. The cabin features modern equipment such as LED lighting, LCD touch-screen passenger controls, and additional powerports for laptops and DVD players, whilst the flight deck offers Rockwell Collins’ state-of-the-art Line 21 avionics suite on four LCD screens.